Shop the Durham Art Walk Holiday Market 2017! This annual downtown Durham event features festive fine arts and crafts that celebrate the holiday season. 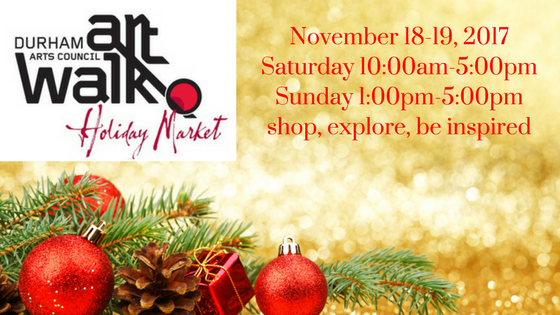 The Holiday Market is perfect for art lovers and holiday shoppers. This event offers entertaining live musical performances. Be near world-class restaurants, innovative new businesses, and compelling historic sites. Shoppers can purchase fine arts and crafts at many downtown Durham sites including the Durham Arts Council, Vega Metals, Durham Armory, and more! The art work comes from many talented artists in many different locations. All conveniently together during the weekend of Saturday November 18 (from 10:00 am to 5:00 pm) and Sunday November 19 (from 1:00 pm to 5:00 pm). This free event is open to the public (rain or shine). Most sites are within easy walking distance around downtown Durham and on Saturday visitors can take the Bull City Connector, Durham’s fare free bus that travels downtown. The Connector does not run on Sundays. Not only is looking at unique artwork and crafts fun, but it also helps you accomplish finding the perfect holiday presents for those on your gift list AND you are supporting artists at the same time! 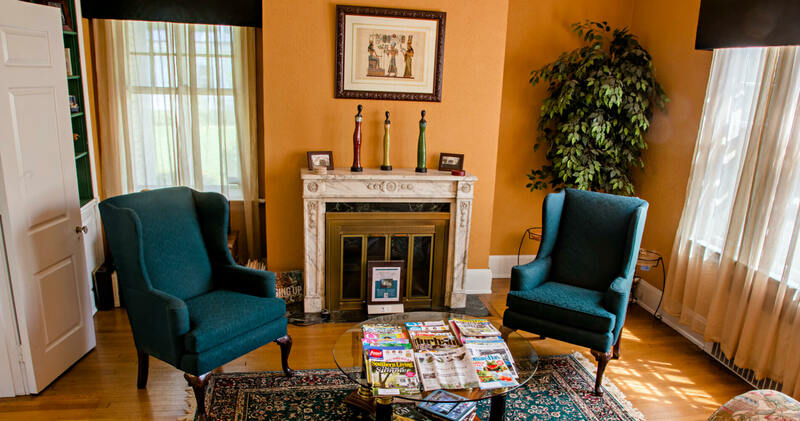 Morehead Manor Bed and Breakfast offers the perfect weekend getaway during the Durham Art Walk Holiday Market 2017! This entry was posted in Holidays and tagged Durham Art Walk Holiday Market, Durham Arts Council, free event, holiday shopping, perfect weekend getaway, supports the arts by admin. Bookmark the permalink.